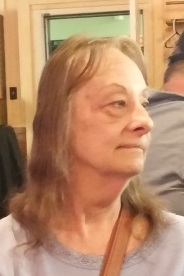 Linda Sue Barker, 70, of La Porte, Indiana passed away Saturday, March 23, 2019. Linda was born January 21, 1949 in La Porte to late Ernest G. and Fern (Hasty) Lowery. She had been employed with Berkel Slicing Equipment, CVS Pharmacy and the La Porte license branch. Linda was a member of St. Peter Catholic Church, a play-ground aid at the former St. Joseph School, a member of the V.F.W. and American Legion Ladies Auxiliary and graduated in 1967 from La Porte High School. On April 14, 1973 Linda married Richard Barker. Linda is survived by her husband, Richard; a son, David M. (Jennifer) Barker of Cape Coral, Florida; grandchildren, Hayleigh and Benjamin; and a step grandson, Gregg Shaw; a sister Judith K. (Doug) Anderson of Walkerton, Indiana; and a step brother, Bill Lowery. Visitation will be from 4-7 p.m. Wednesday, March 27, 2019 at Frank L. Keszei Funeral Home, Essling Chapel, 1117 Indiana Avenue, La Porte, Indiana. Funeral service will be 10 a.m. Thursday, March 28, 2019 at Frank L. Keszei Funeral Home, Essling Chapel. Reverend Ian Williams will officiate. Burial will follow in St. Joseph Cemetery. In lieu of flowers, memorial contributions may be made to Alzheimer’s Research, 225 N. Michigan Avenue, Floor 17, Chicago, Illinois 60601.